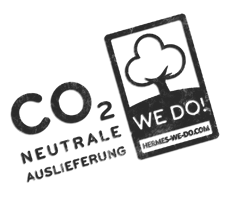 Make your contribution to the environment and send your furniture and large appliances CO2-neutral with the Hermes Einrichtungs Service. Environmental protection has always played a key role in Hermes' corporate philosophy. For this reason, the companies of the Hermes Group have been supporting and initiating actions for sustainability and climate protection for more than 20 years. Clearly defined goal: to reduce CO2 emissions by at least 50 percent at the sites and by 30 percent in distribution by 2020. In 2010, therefore, a comprehensive and consistent corporate initiative was launched under the name "Hermes - WE DO!". 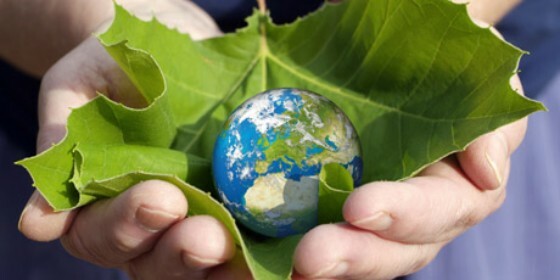 The industry's unique climate and environmental protection program holistically bundles the efficient use of resources across all parts of the company. Hermes Einrichtungs Service is also aware of its ecological responsibility. Although the use of modern vehicles and efficiently planned tours already avoids part of the resulting climate-damaging CO2 emissions in logistics, a complete reduction is neither financeable nor technically possible. But: By investing in climate protection projects, it is possible to meaningfully and sustainably compensate for such unavoidable emissions. Under the motto "WE DO! CO2-neutral delivery ", the 2-man handling specialist offers its customers complete compensation for emissions caused during transport. Calculate your personal CO2 balance together with the German Federal Environmental Agency. In addition to all emission-avoidance measures, the Hermes Einrichtungs Service has been compensating centrally generated CO2 emissions since 2016. This includes all CO2 emissions caused at own sites and by travel activities. Overall, the logistics service provider compensated 1,900 tonnes of CO2 for the past year. The acquisition of Gold Standard Certificates supported three selected climate protection projects and thus successfully and sustainably neutralized the caused emissions. Join in and make your contribution to the environment together with the Hermes Einrichtungs Service! What can I do as a sender? The emission values which have to be compensated are determined on the basis of the driven kilometers, the weight and the volume of the consignments for each consignment. Based on these calculations, the sender can initiate the purchase of certificates in the appropriate amount and thus compensate the generated the CO2 emissions. A complete, individual compensation: All shipments are included in the calculation and compensated. Fixed compensation amount: A fixed amount is agreed in advance, in the amount of which compensation certificates are acquired. Shipment-specific compensation: During the ordering process in the Shipper Webshop, the customer chooses whether he wants to support the CO2 compensation with his consignment. In this case, he voluntarily pays a surcharge for the delivery, which is then invested in certificates. Write us an email at wedo-2mh@hermesworld.com and we will contact you. Malawi is one of Africa's most underdeveloped countries. In many places, there is a lack of sufficient drinking water supply due to no longer usable well systems. Together with the hygienic and sanitary conditions, this often leads to life-threatening conditions. The water is therefore mostly boiled with wood or charcoal on open fireplaces. The consequences: an enormous decrease in the forest population and a high, additional health risk for the population due to the flue gas development. Repairing damaged wells eliminates the need for boiling water, which avoids the release of climate-damaging CO2. Due to the large amount of saved firewood, the project also protects the forests as an important habitat for animals and plants. Diseases caused by flue gas or contaminated drinking water are significantly reduced by repairing the wells. 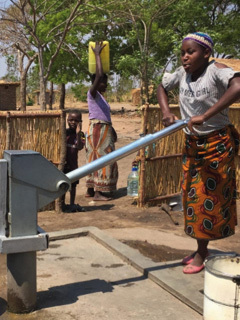 The introduction of sustainable financing mechanisms will also enable the village community to take over the maintenance of the wells to ensure long-term functionality. In addition to the fight against the progressing desertification, the preservation of the few forest areas is a major problem for Mali. Covering the high demand for fuel poses a major challenge for one of Africa's poorest countries, because forests, especially near the villages, continue to shrink. In addition, cooking on the open fireplaces due to the strong development of flue gas is a high risk for respiratory diseases. 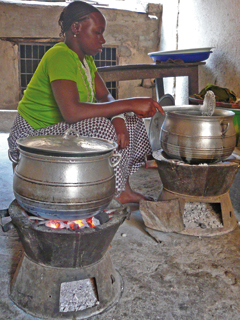 During the project period of ten years, 300,000 efficient, fuel-saving cooking stoves will be locally produced and distributed, saving approximately 72,000 tonnes of CO2. In addition to the positive effect on the climate, the project protects the local environment by preserving the forest as an important habitat for animals and plants. The health of the population also benefits from significantly lower flue gas emissions, while the production, marketing and maintenance of the furnaces creates additional jobs. Thus, the economic development at the project location is sustainably supported. Over a total area of 1,209 hectares, two pastures in northern Costa Rica will be used to reforest former pastures with a variety of mostly indigenous precious woods in real mixed stocks, saving a total of 123,000 tonnes of CO2 emissions. In addition, the project created 34 long-term and secure jobs. Part of the land is also farmed between the young trees with various crops in agroforestry to exploit synergies and provide additional income alternatives. 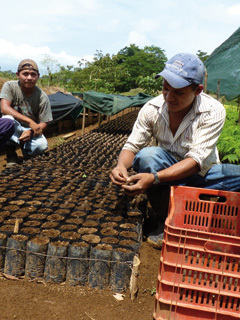 In addition to the ecological and socio-economic requirements for the Gold Standard, the reforestation project in Costa Rica in November 2013 received the recognized certification as one of the first forest climate projects worldwide. In addition, forest biotopes and wetlands are sustainably protected as nature reserves and thus as a habitat for indigenous animal and plant species in about 25 percent of the total area of the project. The certification of the compensation projects is carried out by the Gold Standard Foundation, a non-profit organization registered in Switzerland. Only projects that are proven to reduce greenhouse gases, are good for the local environment and social concerns of the population, and are not already being funded by other incentives, receive the "The Gold Standard" award. The certificates for emission compensation are acquired by Hermes Einrichtungs Service via the renowned compensation provider ARKTIK, whose certificate management is regularly reviewed by TÜV Nord. The quality of the climate protection projects and the targeted use of funds are continuously monitored via ARKTIK and the Gold Standard, thus ensuring 100% of the climate protection effect. Kaiser + Kraft already ships climate-neutral and makes a valuable contribution to environmental protection. All emissions caused during delivery are fully compensated by Kaiser + Kraft in cooperation with Hermes Einrichtungs Service and ARKTIK. The proceeds will flow 100% into the afforestation of the rainforest in Costa Rica.